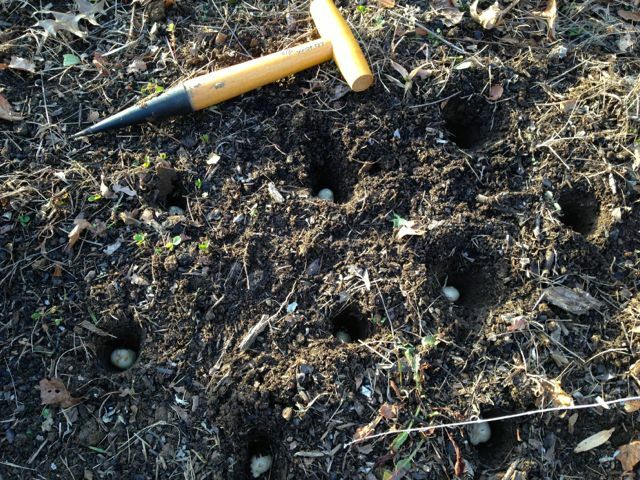 A dibber, also called a dibbler (the garden tool, not the small nocturnal marsupial), has many uses in the garden and greenhouse. It also offers the opportunity to announce your intentions of dibbing (or dibbling). I’m a huge fan. For example: just planted the last of my fall bulb purchases. One of packs remaining was Allium unifolium, left over from installing our Allium field trials. (28 species and cultivars – woo! Beats doing research on soybeans or something.) 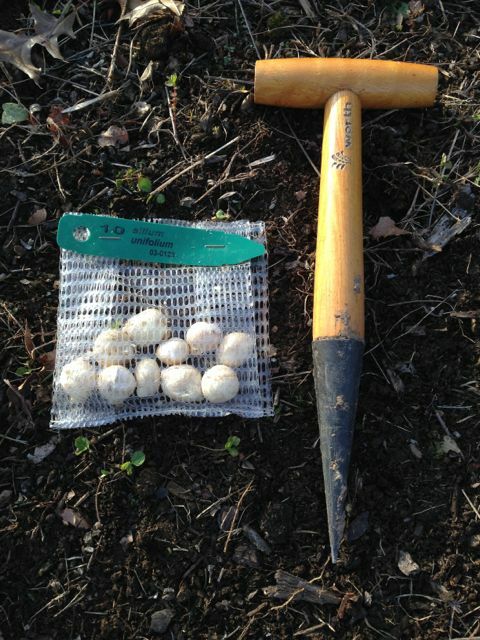 These little bulbs are about the size of nickel – even the smallest hand spade is overkill. I think I’ll just grab the dibber! For the uninitiated, a dibber or dibbler is simply a very sturdy, pokey thing, with a nice ergonomic handle. 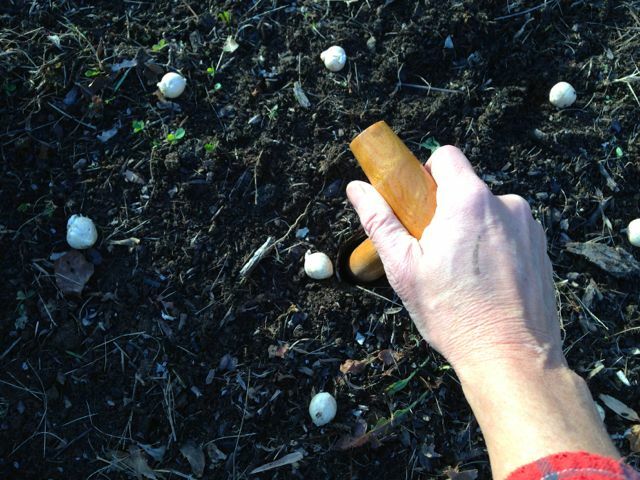 To use, simply scatter bulbs (never, ever in rows)… Poke and plop. Went about 5″ to 6″ deep for these wee bulbs. Goes really fast once you’ve honed your dibbing skills. As a bulb-planting strategy, I like to leave them all uncovered until I’ve got the whole batch situated. Then make like a squirrel and cover the bulbs! 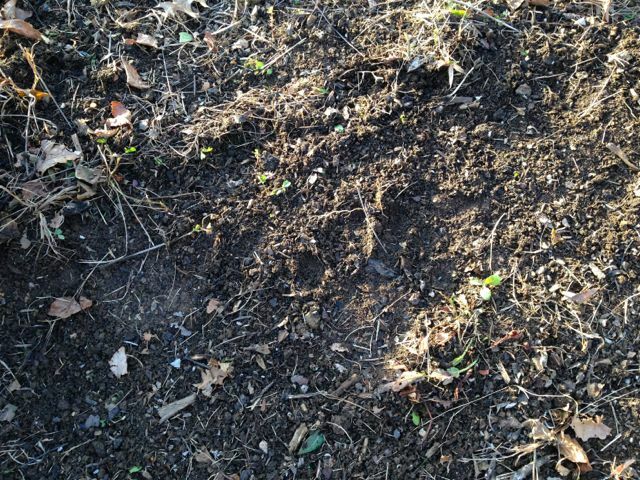 Previous Previous post: Deer are the worst.